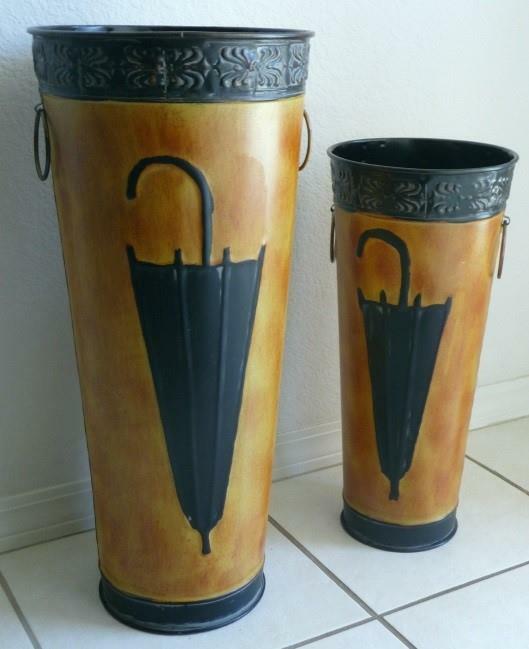 Charming 2-piece tapered umbrella stand set. 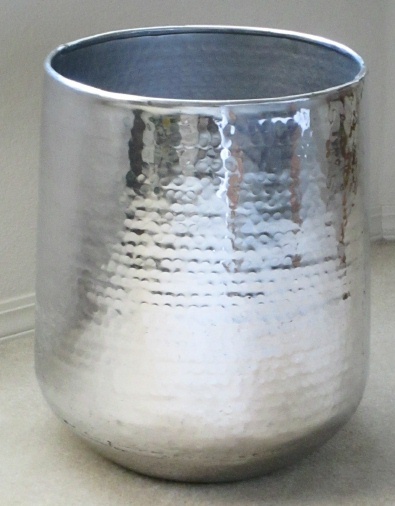 Each steel umbrella stand has ring handles, an embossed top band, and embossed umbrella motif. Each piece is individually hand detailed so no two pieces are exactly alike. Large stand includes a removable vinyl drip pan. 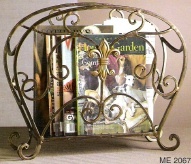 Many customers use the smaller umbrella stand for dry floral arrangements. 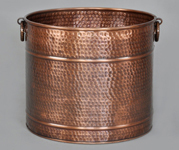 Note: Items are hand finished so measurements or finishes can vary slightly. 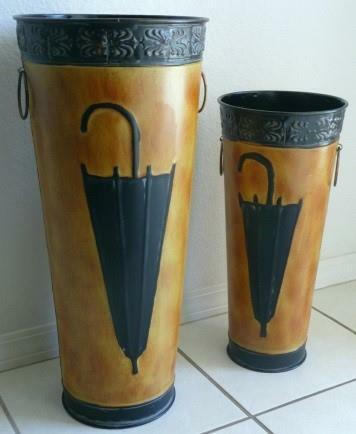 Large Umbrella Stand: Height 19.75", Diameter 9.25"(Measured across top). 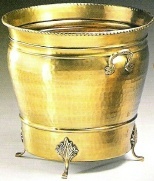 Small Umbrella Stand: Height 16.5", Diameter 7" (Measured across top).